Outreach specialists working with science consortia, funded by the Gulf of Mexico Research Initiative (GoMRI), reflected on their collective multi-year efforts for insights gained and lessons learned. These reflections resulted in recommendations for creating, managing, and implementing scientific outreach plans. They found that involving outreach personnel during proposal development helped to strategically generate outreach plans that fall within science projects’ timeframes and budgets and helped to identify target audiences and address their values and needs. Outreach strategies should capitalize on their own team members’ unique abilities (such as curriculum development, video editing, graphic design) and existing professional relationships (such as a non-profit organization or social service agency). Specific evaluation metrics should be identified during an outreach plan’s development and consider both quantitative factors (such as number of individuals reached) and qualitative factors (such as trust in science). The specialists published their recommendations in Limnology and Oceanography Bulletin: Recommendations for science outreach program development: Perspectives from Gulf of Mexico Research Initiative consortia. Increased efforts toward fulfilling funder-mandated “broader impacts” requirements (which the National Science Foundation defines as activities with potential to benefit society and contribute to specific and desirable societal outcomes) have led scientists to consider effective ways to communicate how their work contributes to important public issues. Traditionally, broader impacts have included training and mentoring undergraduates, graduate students, and postdoctoral associates and sharing research results with the scientific community. However, science outreach increasingly includes a variety of activities, resources, and products that raise awareness, understanding, and trust in science. As a result, outreach has become a crucial part of many research programs. The outreach coordinators involved with this study initially focused their efforts on the science involved with studying impacts following the Deepwater Horizon incident. Their efforts later broadened to the improvement of general ocean and environmental literacy and increasing interest and engagement in marine research, ocean conservation, and ocean exploration. Because outreach professionals provide a different perspective from scientific researchers, who often have limited availability for outreach participation, principal investigators should involve outreach expertise as early as possible for budget and strategy development. This early involvement can greatly assist the establishment of a shared outreach vision, strategic goals, and a budget to accomplish those goals. After that, outreach professionals and scientific researchers can jointly outline realistic and innovative activities, events, and products that reflect a program’s research. Strategic considerations might include funder priorities that dictate or inform audience and message choices, integrating emerging research results into outreach efforts, and identifying and leveraging existing outreach efforts at affiliated institutions. Other suggested considerations include establishing the role and costs of press relations and having engaging website and social media presence, autonomy regarding outreach plan management within the larger research program, identifying key messages that address the needs and wants of primary and secondary audiences and societal benefits, and evaluating outreach effectiveness. Specifically identifying audiences is key to effectively reach them. For example, stating “middle school girls at a summer STEM camp” or “science festival attendees” as an intended audience instead of “K-12 students” or “the public” will help in understanding their values and how they might like to receive information. Audience delineation can help to identify existing relationships with organizations or individuals that can be leveraged to reach them. For example, is there a relationship with an organization that runs a summer STEM camp for girls who might be interested in collaboration? Knowing your audience also helps in stating what you want them to do with the information they receive. For example, you might want outreach to local interest groups to result in their lobbying community leaders to include oil spill response in their crisis planning program. Considering unique areas of a program’s research can help outreach specialists develop efforts for specific groups. 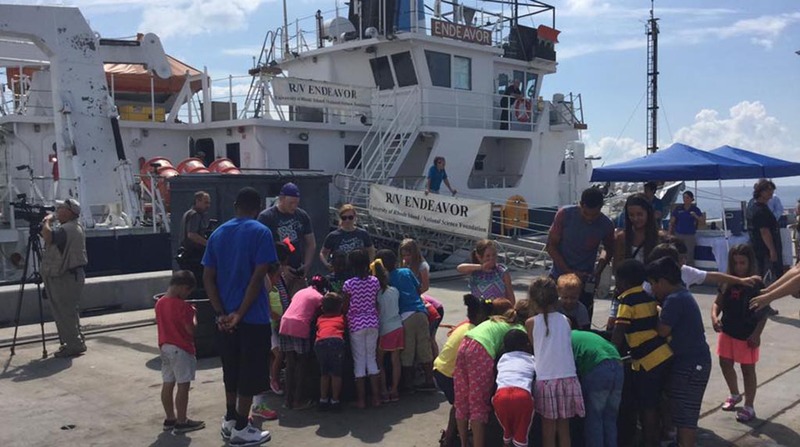 For example, if a program has a lot of at-sea work, could a local boys’ and girls’ club visit a research vessel at a port call or could you host an educator-at-sea for a high school teacher? Regular communication between the outreach team and project researchers allows outreach coordinators to stay informed about research developments, adapt and improve their message strategy, better identify the target audience, and more effectively communicate the project’s research. The study authors plan to share these outreach recommendations at various regional and national science conferences. Wiley, a publisher of science journals and books, selected the article for further promotion and is making it freely available through October. The study’s authors are Sara Beresford, Katie Fillingham, and Tina Miller-Way. This paper can be found on-line here. This research was made possible in part by a grant from the Gulf of Mexico Research Initiative (GoMRI) to research consortia funded to study oil spill impacts on the environment and public health.